There’s something special about summer, isn’t there? We’ll make plans after work when we’d normally head home. A dinner date suddenly becomes a night of exploring the city. And an afternoon get-together your buddies can turn into the highlight of the summer. Since casual summer plans seem to turn into the best adventures, we’re breaking down what to wear so you can enjoy a full weekend of summer fun. Kick off your weekend with a post-work happy hour. 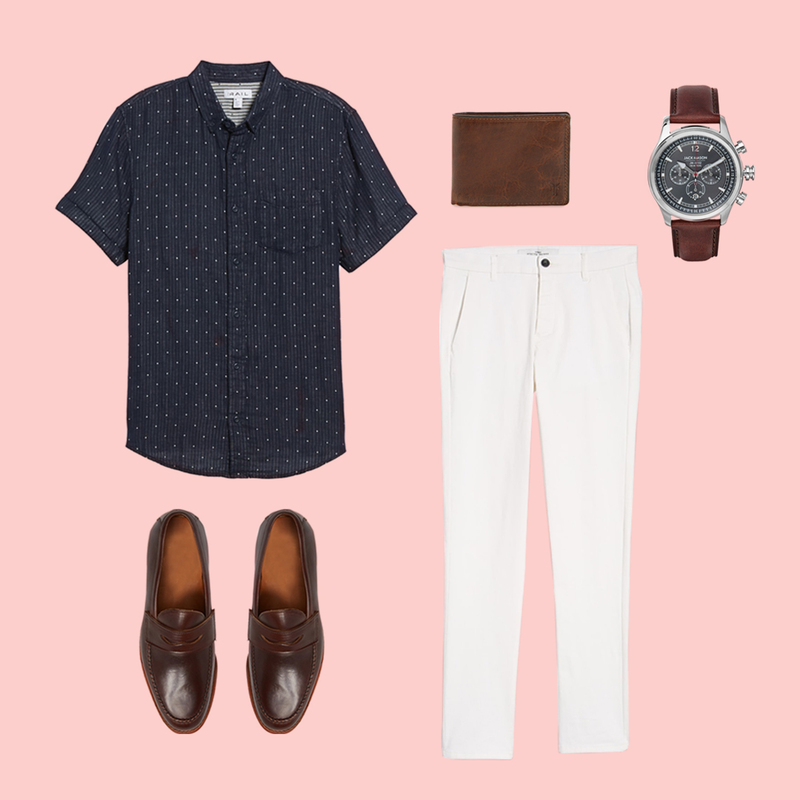 Keep on your brown leather loafers and your watch, but switch into casual mode with a pair of white chinos and a printed short-sleeve button-down. We’ve kept it simple here, but it’s summer! So feel free to play around with a brighter, bolder shirt. If your friends and family are gathering outdoors, you can’t go wrong with our take on shorts and a T-shirt. Stripes and chinos say, “I’m here to relax,” while deconstructed derbys and a ball cap tell everyone, “but I’m also down for some frisbee.” This look is about you feeling comfortable for an afternoon in the sunshine. Whether it’s a coffee date or group hang, brunch is a nice excuse to step up your style. Take the shorts, for example. From the knee up, they look like a crisp, single-pleated trouser. But from the knee down, it’s summertime fun. Mixing and matching sophisticated pieces with casual elements—like a slip-on sneaker—will definitely earn you style points on a lazy Sunday. Need a little inspiration for your summer plans? 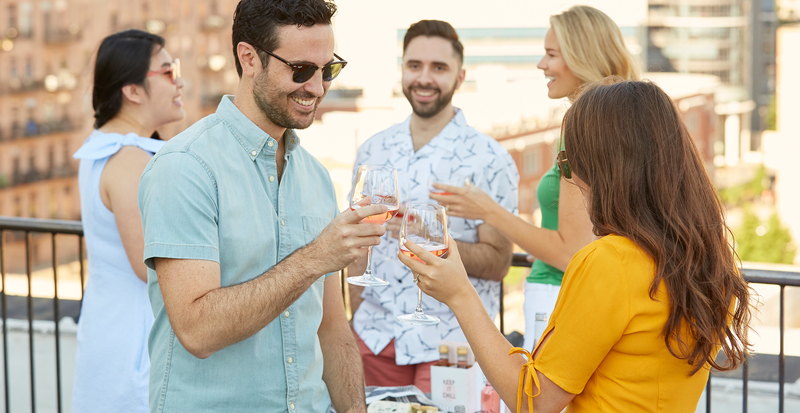 We’ve collaborated with Winc, the wine subscription service behind the popular Summer Water Rosé, on a drink recipe that we’ll be serving up at all our summer gatherings.